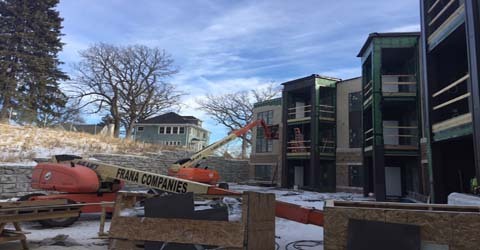 On the exterior of the building, the siding is 50% complete and the siding is currently being installed on the decks. 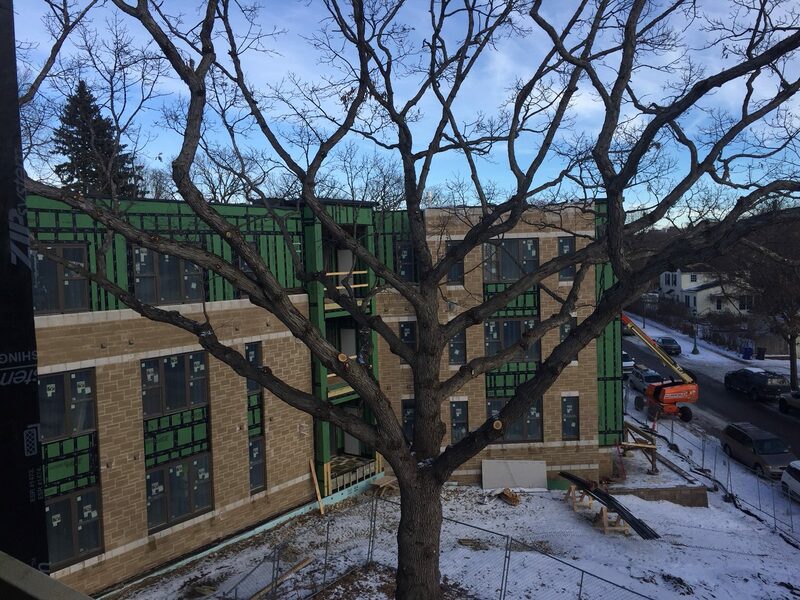 Tree trimming was completed as scheduled, and I have attached a picture of the beautiful oak tree that sits on the side of the building that faces Luther Place. Imagine how nice it will look with leaves this spring! 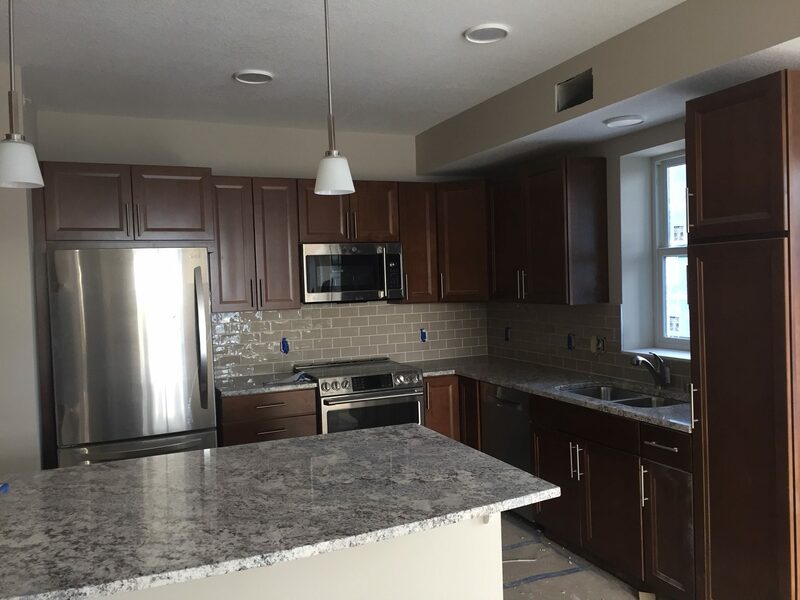 Cabinets are installed in all of zone 1, and on floors 3 and 2 of zone 2. 1st floor cabinets are on site, and installation will begin once painting is completed. Fireplace installation will begin next week. 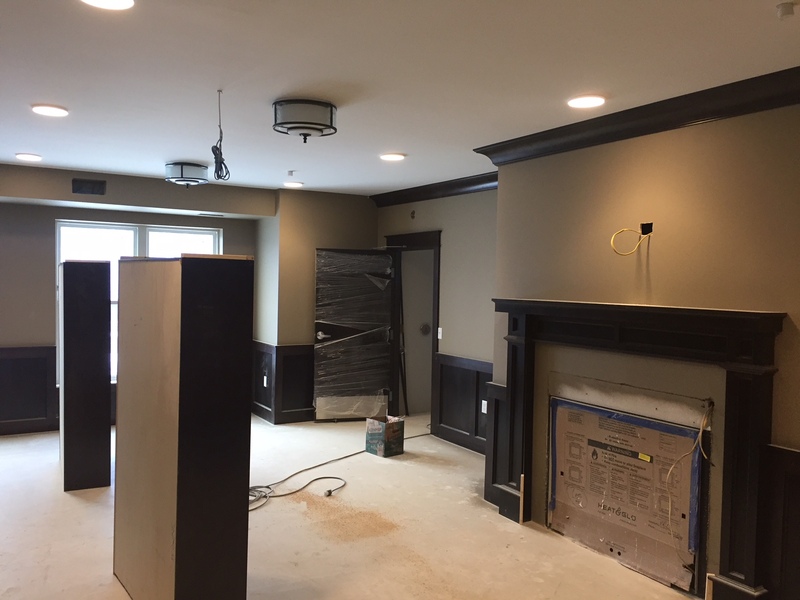 Granite countertops are being installed, as are backsplashes and shower doors. 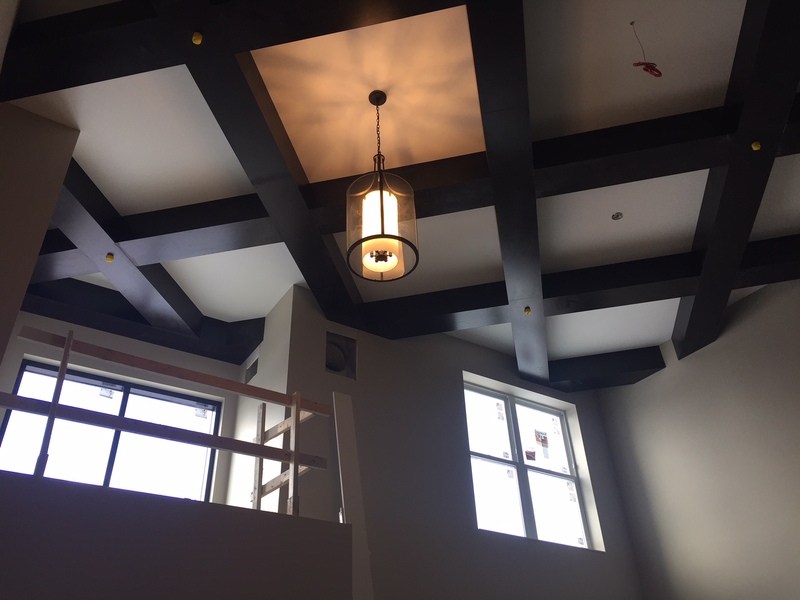 In the last update I gave you a sneak peak of the ceiling in the two-story gathering space. 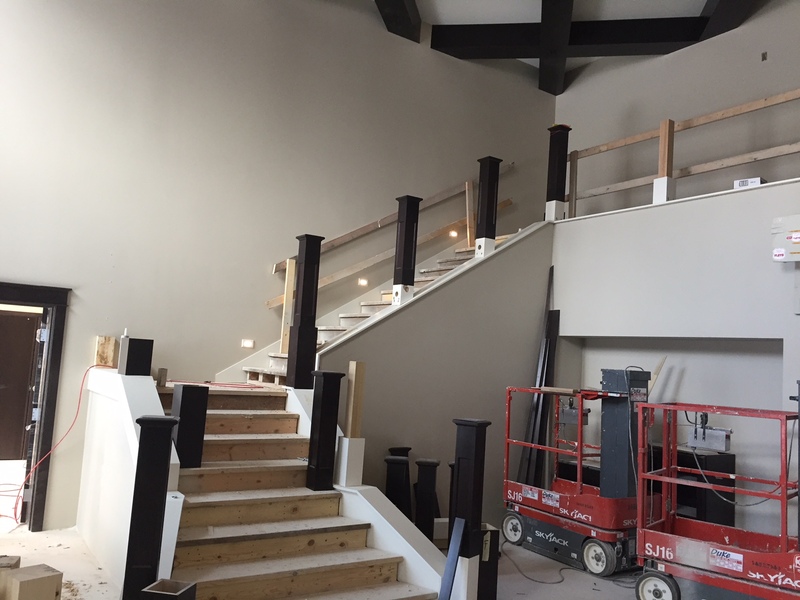 Check out this week’s photos to see the beautiful progress that has been made!